So what are emotional emergencies? Usually, they are suddenly occurring situations that disturb our inner harmony. Because something unforeseen happens, or we end up in a whirlwind of activities and are unable to cope with the situation. For example, there can be existential fear because we don’t know how to go on with our lives. Or there are situations where we become seriously ill, or a loved one falls ill or dies. It can also be a situation that robs us of our sense of basic trust which we need to exist. When a partner turns away from us or there is serious discord in the family which drives us to desperation and deprives us of our sleep at night. A great number of such “emotional emergencies” even end up in the hospital, as research shows. For example, fear can trigger circulatory reactions, even fainting, or cause panic attacks, giving us the sensation that we are suffering from a serious heart condition or even that we are close to death. But emotional problems can also be the result of physical emergencies. Following a heart attack, for instance. The psychosomatic connections can never really be separated. On the other hand, it is also possible for a heart “broken” from lovesickness to cause an actual heart attack, as research has shown. Therefore, if after performing a number of examinations and tests, doctors at the hospital insist that the complaints are “only” of a psychological nature, then in a manner of speaking they are ridiculing the emotionally suffering person. Because an emergency that acts out “merely” in the emotional realm can have dramatic consequences. There can be “infarcts” and “paralysis” in feeling and experiencing that require therapy – even if they cannot as yet be perceived by today’s standard medical tests and equipment. 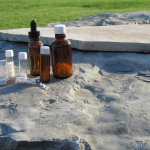 Homeopathic remedies have often proven to be emergency helpers in all of these complaints. The good thing about them: They are relatively inexpensive and so it is possible for anyone to set up a “Remedy Kit for Emotional Emergencies”. Better yet, come to the clinic and have us put your kit together for you. Call us at (519) 603-0505 to make your appointment. I don’t know of a single case where homeopathy has had a negative effect! The medicine that comes to mind most often during times of emotional stress is the emergency drops acc. to Dr. Edward Bach (1886 – 1936). They are also known as the Rescue Remedy. This homeopathic remedy consists of dilutions of alcoholic tinctures of wild flowers (Star of Bethlehem, Rock Rose, Impatiens, Cherry Plum and Clematis), which have a calming effect on the psyche merely by their scent! Complaints such as restlessness, fear, panic, confusion, dizziness and acute weakness in response to threatening events can be relieved in many cases. 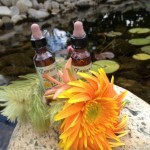 The drops come in a small bottle and are easy to carry with you in your purse. Every one of my own family members has one on them. They are very effective, as has been proven over and over again. trusted for fear, panic, shock and many other emotional complaints. 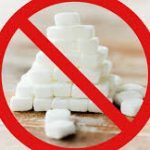 But it is also possible to further enhance the action of the Rescue Remedy by using single homeopathic remedies that are matched to specific situations and complaints, using them specifically according to a person’s individual symptoms. Based on the respective emotional cause of the complaints. Generally, any substance in nature that subtly releases its medicinal properties for the body and the soul during the process of dilution, trituration and succussion, thereby developing the capacity to heal more profoundly, is a possible medicine for the psyche. Of particular interest are the minerals which are already present in the human body, controlling important bodily functions. When treating emotional emergencies with homeopathy, generally the aim is to choose remedial and rejuvenating medications over those that suppress emotional reactions. Medications which could alter your personality, such as chemical tranquilizers or anti-depressants. That is likely the most important reason why people with emotional conditions prefer homeopathy. sleep or simply a feeling of calm wellbeing. If there is such a reaction, then it should be welcomed. As a sign of the body and soul being prepared to accept this medicine. How exactly the first reaction to a remedy is experienced differs from person to person, as mentioned before. But in most cases, the potential complaints will soon disappear, giving way to a clearing of the original symptoms. The action of the remedy may not be prolonged or radical – but for sure it is going to have a positive effect. A “Remedy Kit for Emotional Emergencies” should definitely include a Rescue remedy as well as 15 other homeopathic medicines so that you are prepared in the event of future emotional conflicts. The system of homeopathic medicine was founded by the German physician Dr. Samuel Hahnemann (1755 – 1843). The first and foremost principle of homeopathic medicine is the Law of Similars: “Like cures like” (similia similibus curentur). For example, the remedy Allium cepa, which is the common onion, is used to cure the symptoms of a cold, because it causes a runny nose and watery eyes when given to a healthy person. Many of the substances tested by Hahnemann were poisonous and therefore, he diluted them substantially. The physician was then baffled when he found that the more a substance was diluted the better its action. Consequently, he developed the systematic method of potentizing, that is, the dilution series. If the remedies are prepared in steps of 1:100, they are called C potencies. When the ratio is 1:10, they are called D potencies. The more a medicine is diluted and the longer it is triturated and succussed in the process, the deeper it can act on the psyche. Therefore, it makes sense to use potencies of at least 30 C for emotional problems in emergencies. with sick patients. Thus, in keeping with the Law of Similars, a drug picture evolves that covers the symptoms of a patient. These symptoms are then collected in the so-called repertories, the thick registers which are indispensable for finding the remedy. Take this medication if you have a lot to swallow, are under pressure and unable to digest something. Detox yourself with Nux vomica and get rid of suppressed grudges, anger and stress. This medicine is a proven comforter for the psyche. 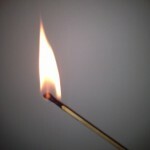 It gives us new courage after serious emotional disappointments and lets us see the future in a brighter light. 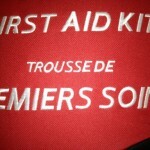 It is the most important remedy for external injuries, albeit of the rather dull kind, such as bumps and bruises. But it also helps in cases of emotional discouragement. 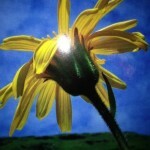 In homeopathy, Arnica is classified as a “sun flower”. When you are discouraged, it helps to regain vitality and buoyancy. Whether you are preparing for an exam, going up on stage or holding a speech – if you experience shaking and diarrhea beforehand, then the yellow jasmine is the right remedy for you. It is the most important remedy for anticipatory anxiety. Fears, uncertainty and lack of self-confidence are eased by this medication. It gives confidence and willpower. This big medicine for fears and anxiety helps for lack of basic trust, self-doubts, mortal fear and fear of diseases. Back in ancient times already comfrey was used to treat wounds that were struck in battle. Homeopathically, we find here a medicine for the hopelessness and disorientation after severe emotional trauma. It helps to lift us up and get our life back on track. Attacks on our integrity, humiliation and indignities often bring us to the boil internally and cause deep upset. This plant, when given in homeopathic potency, helps us to better process and resolve such experiences and regain peace of mind. This remedy is helpful for weakness due to lost self-confidence from continued emotional sorrow. If you are feeling ever more depressed from lovesickness and totally lose the ability to love yourself, then think of Phosphoric acid. contrast to our normal actions, and we find ourselves banging doors when really all we want is to be hugged! This remedy for injuries not only works well for tick bites – it is also very powerful at a deeper level. Any type of sharp or pointed injury – and this can include harsh words, indignities or the hostile behaviour of another person – is eased up with the wild rosemary. This is the main remedy for sexual abstinence and restriction, for an unlived sexuality and the lack of desire. There is an inner rigidity that manifests as depression, hopelessness and a weakened ego. 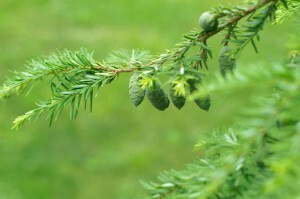 The hemlock, which is known as a poisonous plant, when given in homeopathic potency releases inner rigidity. When there is weakness as a result of continued stress, usually work-related, then this medication comes to mind which helps to slow and structure thoughts. Thus, it enables us to work out solutions to overwhelming situations. 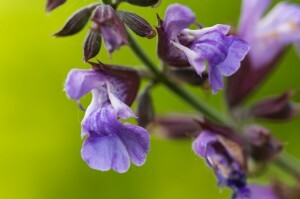 Imagine this little, often stepped on flower and you will recognize its signature as a remedy. Bellis helps with lack of confidence, timidity and lack of stamina, and it lifts the person after blows of fate. A dose of the Rescue remedy will help everyone – regardless of what the cause of the emotional distress. directly into your mouth. Or add four drops to a glass of water, stir and sip until empty. You can use the rescue remedy for every emotional emergency, at least four times daily. 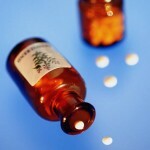 The drops are safe to use with all other medications. reach for a remedy made from an herbal poison – with is of course harmless when given in homeopathic potency. Because the intensity of the medicine must be matched to the severity of the complaint. Giving strychnium in the form of Ignatia for lovesickness, or the poison of the monk’s hood, Aconite, after receiving a death threat, are some well-known examples of the effectiveness of homeopathic medicines. If we are in shock, on the other hand, after suffering a serious bruise, then that is milder by comparison and can be treated well with non-poisonous plants that are classified as “sun flowers” and revitalize us after injuries. The best known example here is Arnica. General Administration: Take 3 pellets of the remedy sublingually. If there is an improvement, do not re-dose until the symptoms have gotten worse again. Clinic at (519) 603-0505 to book an appointment. 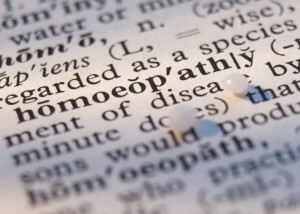 After all, there are more than 4,000 different homeopathic remedies to choose from. We offer acute consultations for emotional emergencies, but also for most other complaints. We will choose the remedy most appropriate to your individual situation. Unfortunately, if the acute situation is not addressed right away, often what happens is that people carry their grief over an extended period of time, which can then lead to chronic depression. In these cases, a constitutional remedy works best, as it will cover all of your symptoms – physical, mental and emotional. This deep healing remedy at all levels will help like no other medicine because it is completely individualized to your particular set of symptoms. In a constitutional consultation we will determine what your constitutional remedy is. Call us today to book your appointment or, if you are not sure whether or not this is the right therapy for you, I invite you to come in for a free 15-minute information session to have your questions answered.